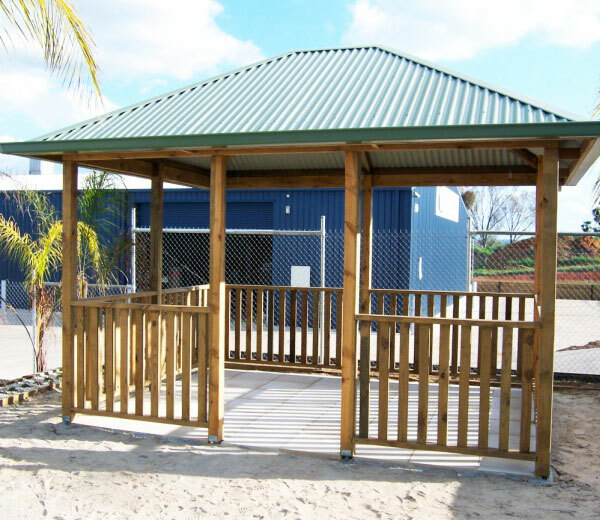 Simple square or rectangular shaped timber gazebo with an opening at the front. Constructed in dressed and oiled treated pine with a Colorbond roof. This wooden gazebo can be supplied with post and roof only. Ideal with either a spa or dining setting and finished off with either canvas, clear PVC or bamboo blinds to create another entertainment area.